Walk the Labyrinth – For many, the practice of walking the Labyrinth is a helpful exercise in their spiritual journey. 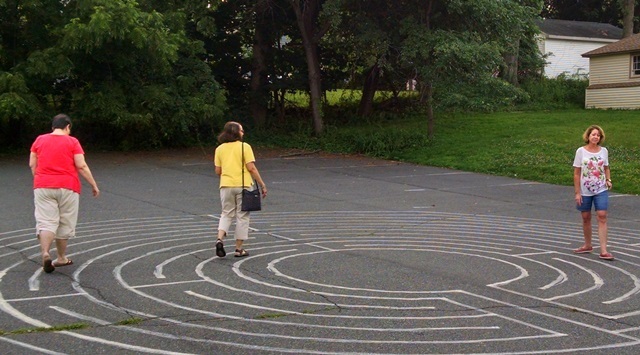 The Labyrinth in our parking lot is available at all times, and will be the focus of worship at various times throughout the year. Education Series – Often held on Sundays after Coffee Hour or during a week night, sometimes in a particular season of the year (Lent perhaps). Various topics on spirituality, wellness and Bible study are offered by trained facilitators.